Angelite is also known as Blue Anhydrite, a calcium sulfate mineral that usually forms in nodules with white exteriors. It is formed from the compression on Celestite over long periods of time (some say millions of years). The interior is a gentle, light blue color that can sometimes be seen in the exterior as well. Its only known location is in Peru. 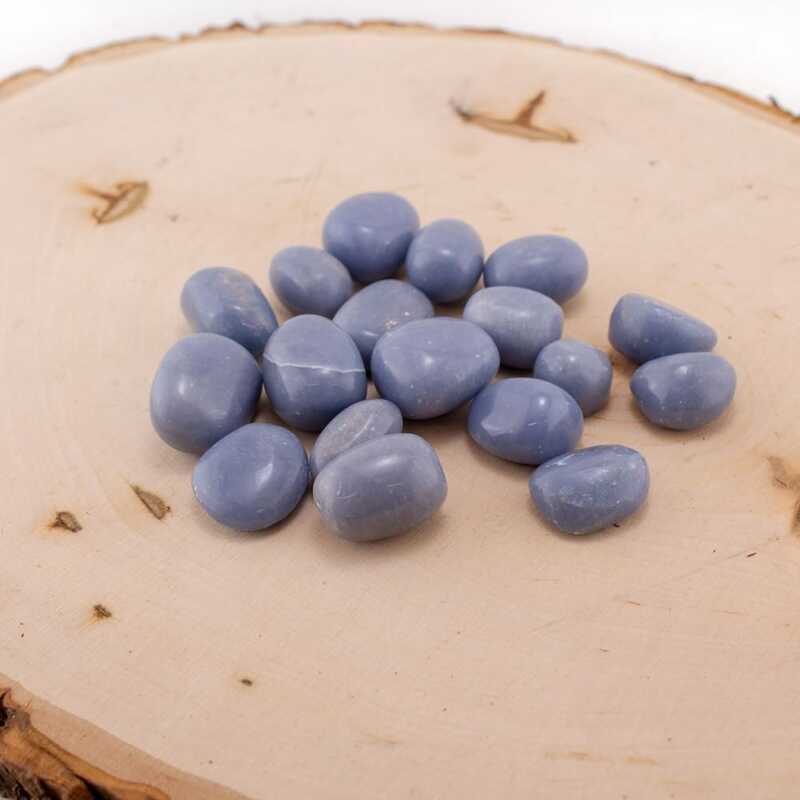 Angelite is not only angelic in color but also allows one to connect directly with guardian angels and other loving beings from the higher planes. When near or in contact with the stone, it provides a focal point for one to receive love and guidance. It vibrates at frequencies of serenity and benevolence, which is constantly being sent through the stone in order to assist and guide us. It is very soothing to the emotional body and is of especially great aid when going through difficult times. It can assist one in meditation, and as a stone of tranquility, it brings about inner peace when worn or used in meditation. Angelite is very useful to those who wish to develop psychic abilities of attunement, channeling, mediumship, clairvoyance, and spiritual healing. The communication with angels and higher dimensional beings it provides are of great aid in the development of these abilities, as it gives one support from the angelic realm. It is especially useful for astrologers and those in the practices of spiritual counseling. Its gentle aura soothes the throat, third eye, and crown chakras, assisting one in communication of intuitive insights. Compassionate speech will assist those who hear it in feeling the vibrations of the angelic realm. It helps one to avoid and see through excessive speech, aiding one in clear, concise, and balanced communication. This is also very useful in situations of conflict, helping to bring peace and ease the energies of all parties involved. It is also helpful to those who have trouble communicating with others in a considerate manner, clearing negative energy from the throat and bringing a sweetness to one’s words. 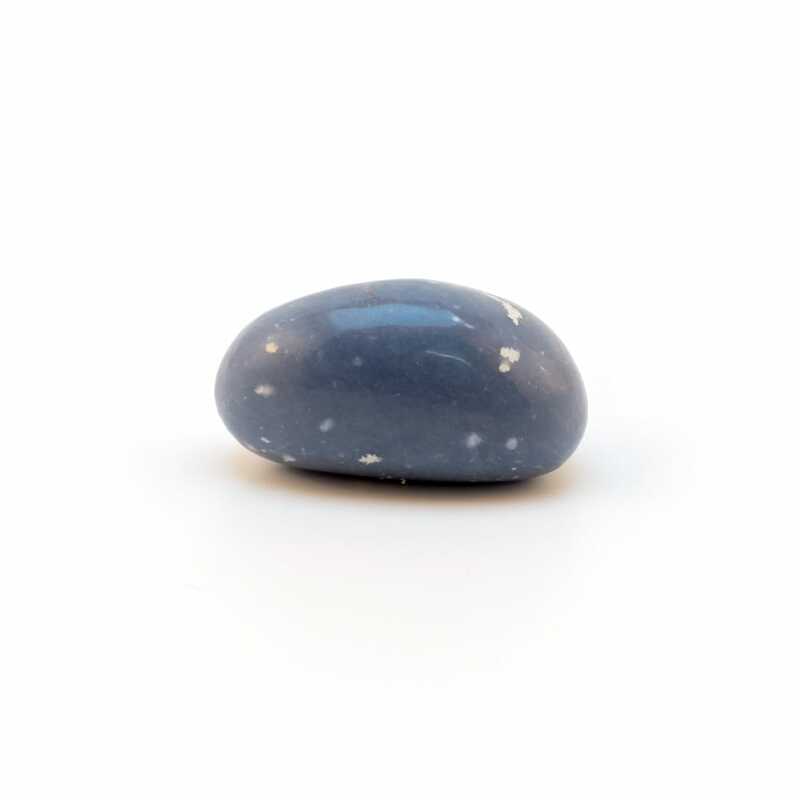 In dream work this stone helps one to remain lucid in dreams and helps one to remember them, as well as the lessons and guidance received in them. It also increases the spiritual quality of one’s dreams, aiding one in interpreting and understanding dream symbols. Angelite also aids one in tuning into the Akashic records within the dream state. It is recommended to place a piece of Angelite under the pillow or near the sleeping space to stimulate this level of dream work, as well as offering general sleep tranquility. When mediating with this stone, one can feel an immediate sense of nourishment that calms and soothes the physical and emotional bodies. It peacefully brings the throat into alignment with the third eye and crown, linking one directly with angelic love.The vibrations of this stone truly give one a sense of angelic support as its energies envelop the body with a tranquil mist. This feeling is similar to that of being gently hugged. On a physical level Angelite is widely used as an appetite regulator. This is especially useful in situations where emotional issues play a role in overeating and obesity. It also regulates digestive function. The mineral composition of Angelite is related to the skeletal system especially when it comes to bone density and growth. It aids one in attaining higher mobility and range of motion, dissolves calcification of the joints, and eases arthritis as well as osteoporosis. Angelite provides vibrational enhancement of self healing with broken or fractured bones, and maintaining healthy bones as one ages.